A big thank you to those that have donated to the summer programs this year! 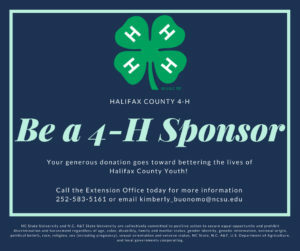 These donations are going towards 4-H Events such as Citizenship Focus, 4-H Residential Camp, & 4-H Congress! It is with these donations that youth are able to attend these statewide events with very little cost to them! We are extremely grateful for their support and hope to continue the good work we do through other donations.